Sean has 21 years of experience in portfolio management, credit and market research, and structured product analysis, research, and trading. He is a Portfolio Manager and leads our structured product research. He also is a contributor to macroeconomic research given his deep interest in monetary policy. Sean is a member of the Investment and Portfolio Management Committees. Prior to joining Pugh Capital, Sean worked for City National Rochdale as a Portfolio Manager, where he managed the taxable short-intermediate strategy, liquidity strategies and their Government Bond fund. 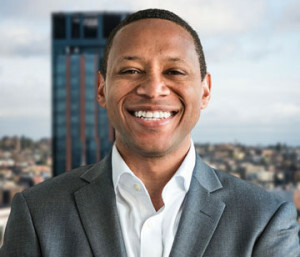 Before City National Rochdale, he served as Co-Fund Manager/Credit Analyst at Highmark Capital Management where he co-managed the Highmark California Money Market fund and provided credit analysis on municipal issuers for fund inclusion. Sean graduated from the University of Arkansas, Fayetteville with a B.S. in Accounting & Financial Management.